This movie was so good. 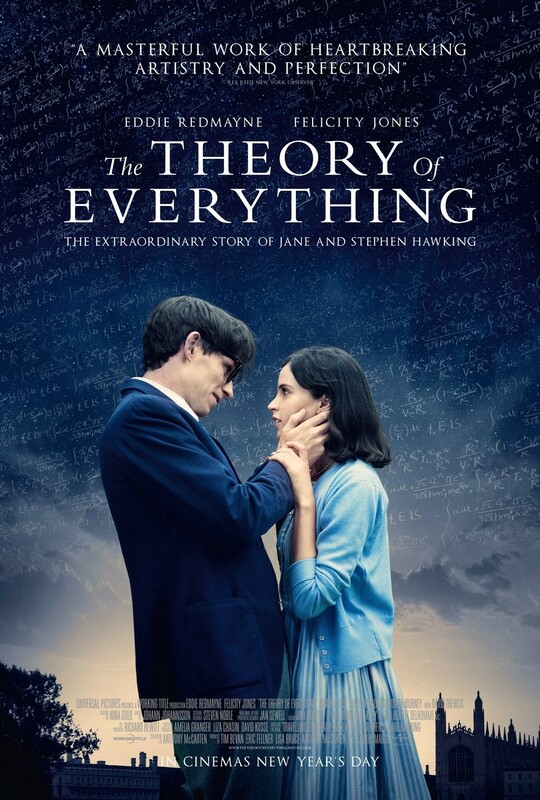 I never thought a film about Stephen Hawking could be this great, but man, I almost cries while watching this film. Off course, the only reason this film worked was because of the actors and their connection. Eddie Redmayne and Felicity Jones are so adorable together and they have this connection that sparkles of the screen. They are perfect together and give this entire relationship on screen an extra dimension. And they’re both marvelous in their roles. Eddie Redmayne gave a beautiful performans as Stephen Hawking. I cannot imagine how hard it must have been for him, but I’m glad he won the Oscar. He so deserves it for this role. The entire story is just so marvelous and his performance just draws you in. It definitely is a movie I won’t forget and will watch again and again. It gave me chills when I watched it in the cinemas and I’m glad it got all the attention, because they definitely earned it all.